Is Arab world political turmoil affecting global energy security? This book gives the answers. This book is written in non-technical style to appeal both to the non-expert with no prior knowledge of oil and natural gas, as well as oil and gas experts, who are interested in further insights on the future of Arab world and its oil and gas sector. 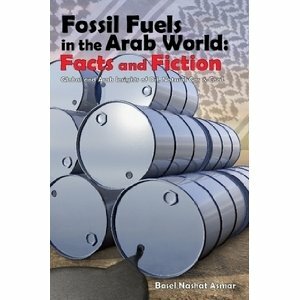 This book answers the eight questions posed five years ago in the author’s previous book “Fossil Fuels in the Arab World: Facts and Fiction” addressing mankind’s dependence on fossil fuels and the position of Arab countries in this international industry. In addition, it examined fossil fuels in relation to alternative energy, and from political perspectives. The book answers the eight questions from “three perspectives”: market fundamentals, understanding the fossil fuel market fundamentals and the place of the Arab world within that; political influences, corruption & cultural norms in business dealings, the developing democracy and militarisation in the Arab world and their interplay with oil and gas are addressed and finally, public relations, perceptions or concerns, where climate change and alternative energy questions are explored in detail. This book is structured into three parts totalling seven chapters. Part I consists of two chapters and reviews briefly the events of the last five years and puts them in context, then revisits the conclusions in the previous book, and examines if they still stand, and provides a current update. Part II is the core analysis consisting of four detailed chapters, in which answers to all eight questions from the previous book are provided. Sets of data addressing the “three defined perspectives” are presented. Finally, Part III is the concluding chapter, which connects all the threads of the analysis and looks at the bigger picture. Here again more questions are asked and offer predictions of what is likely to happen in the future. The book is now available worldwide at reputable bookstores and online book retailers. Is the Arab world indispensable for global energy security? This book tells you the facts! 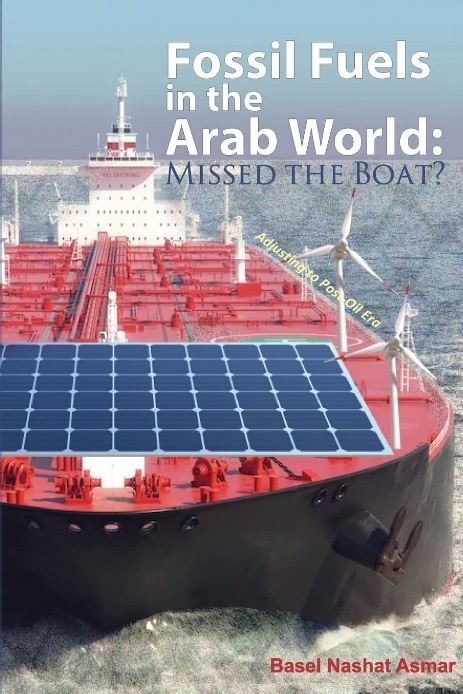 The book is written in a non-technical style to appeal to both the non expert readers, with no prior knowledge of oil, natural gas or coal, as well as oil & gas and energy experts, who seek detailed analysis of the fossil fuels availability and future in the Arab world. It gives general idea about oil, natural gas and coal and poses many questions to the readers to consider before giving answers that will challenge the “accepted wisdom” of many facts fed to the general public by the media. Just think how often do you hear or read that the Arab world is vital for the world’s security and as an indispensable source of energy. This book answers numerous questions such as: Is the Arab world really the indispensable energy source without which our civilisation will come to a halt? Is this the cause of political and military meddling in the Arab world’s affairs, and the reason given by democratic western leaders to defend supporting autocratic and authoritarian Arab governments to stay in power? Is the world really this vulnerable? This book is arranged in fourteen chapters that are structured into three generalised parts. Part I is essential reading for readers who have no prior knowledge of the subject, but are interested in developing a basic understanding of fossil fuels concepts and terminology, and can be used as necessary reference. Part II is of interest for expert readers; it provides the analysis that constitutes the core of the book, where detailed data between 1980 to date is presented and scrutinised. Part III is indispensable reading for all readers as it puts everything in global perspective - politically, economically, and technically, challenging the readers, to judge for themselves whether the Arab world’s energy endowment is as crucial as we are made to believe.